DON’T LOSE YOUR WRAPPER, BUT TODAY WE’RE LEAVING THE BONE ZONE BEHIND AND HEADING FOR THE SCONE ZONE. AND PRESENT OUR STANCE ON FLAVOR. 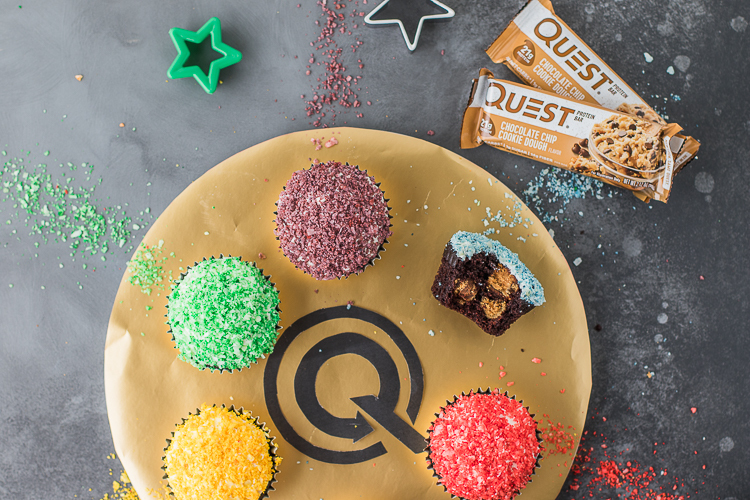 Break Quest Bars® into small pieces and set aside. 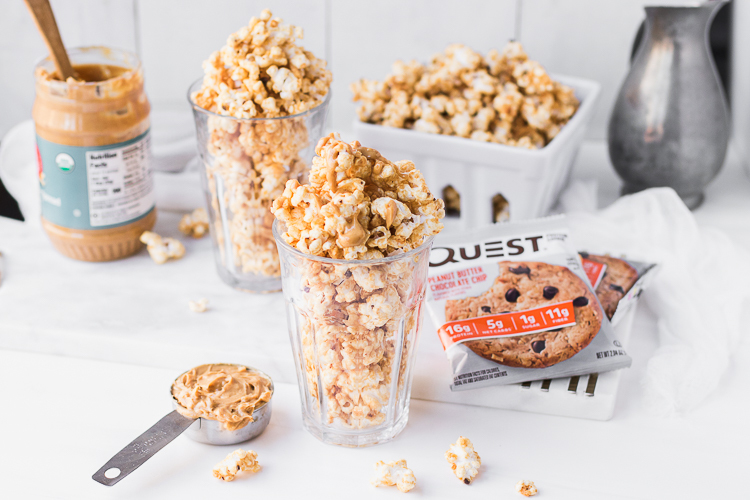 In a mixing bowl, mix Quest Protein Powder®, coconut flour, and almond flour ¼ cup of the sweetener, and baking powder. 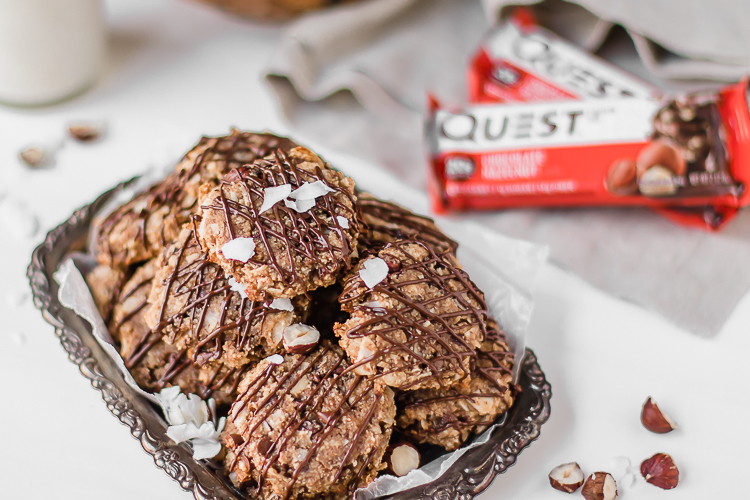 Add in almond milk, egg whites, coconut oil, and vanilla extract and mix well. 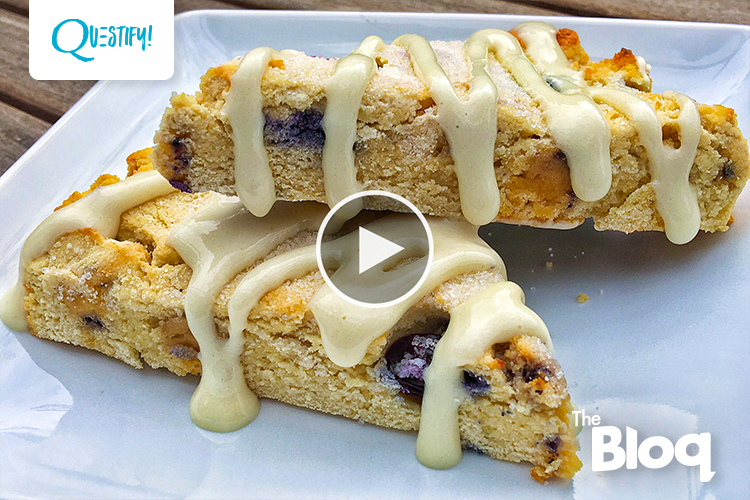 Fold in Quest Bar® pieces and blueberries. Form dough into a ½ inch circle and cut into 8 triangles. Sprinkle remaining sweetener on top of each scone. Bake for 16 to 18 minutes, or until an inserted toothpick comes out clean. In a small bowl, mix all ingredients together until smooth. Written by: Levi Harris on October 13, 2016.on October 20, 2016.